Luck is what happens when opportunity and preparation intersect. Returning frequently to a favourite place, at different times of the year, allows one to piece together an experiential tapestry that could simply not be achieved with just one or two random few visits. 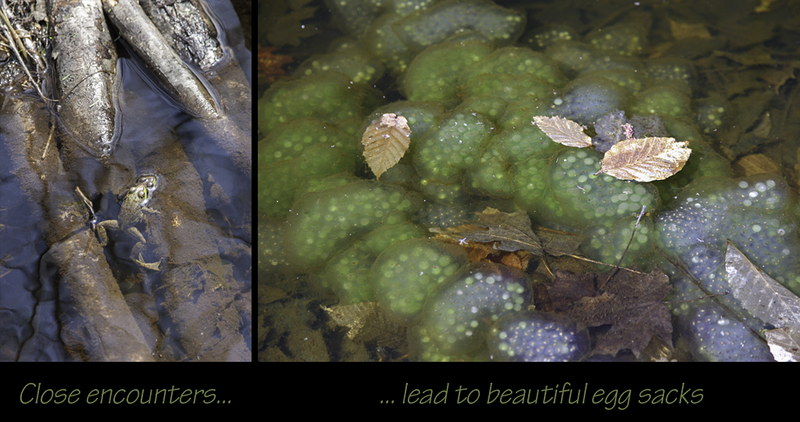 The photos of the frogs and eggs above were taken 2 years apart. The frogs were very small, and relatively motionless. The colour of the egg sacks nearly matched the colour of the surface of the pond, and were barely discernible. Opportunities to witness plants and animals are all around, you simply need to slow down, or even stop, look & listen – they are all around! The gallery below represents some of my favourite encounters with the plant and animal life of Gatineau Park.